This Manifesto was initiated in the summer of 2015 by Hector Avalos and André Gagné. Please contact the authors if you wish to add your signature. The New Atheism is a name given to a movement represented by Richard Dawkins, Daniel Dennett, Sam Harris, and Christopher Hitchens, all of whom wrote best-selling books that were highly critical of religion. Although the New Atheism does not eschew the classical arguments against the existence of God, its focus is primarily on the immorality and harmful consequences of religious thinking itself. For some, the New Atheism is not merely atheistic, but also anti-theistic. Another main feature of the New Atheism is a secular apocalyptic outlook born out of the events of September 11, 2001. A secular apocalyptic outlook refers to the view that religion has the potential to destroy humanity and our entire biosphere. However, many secular and religious critics of the New Atheism have charged the New Atheism with a number of flaws. One is a lack of expertise in scriptural and religious studies that has led Dawkins, Dennett, Harris, and Hitchens to make pronouncements that are rightly viewed as simplistic or inaccurate in some cases. This situation has led to the perception that the New Atheism has no experts in scriptural and religious studies that could challenge religious counterparts with as much or more expertise. Others have conflated all New Atheists as followers of a neoliberal or capitalist ideology. Still others note that all the representatives of the New Atheism are white males. Accordingly, there is a need to identify a Second Wave of the New Atheism. 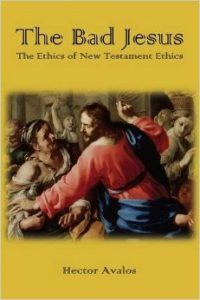 Such a need was discussed briefly in Hector Avalos, The Bad Jesus: The Ethics of New Testament Ethics (Sheffield: Sheffield Phoenix Press, 2015), but it received no elaboration. The First Wave focused on the problems that religious thinking can cause. Since religion was the focus of the First Wave, then a Second Wave seeks to rethink how self-identified atheist scholars of religion and scripture approach the issues that the First Wave raised. The recent uprising of terror attacks across the globe from groups like ISIL, Boko Haram, Al-Shabab, and others, is also one of the reasons why scholars of religion and scriptural studies who identify with a Second Wave of New Atheists should speak out against the catastrophic effects of religious violence and ideology. The authors of this statement, Hector Avalos and André Gagné, thought it useful to identify the main characteristics of what can be called a Second Wave of the New Atheism. Our hope is that other secular scholars who have similar ideas might join us or help us to clarify the nature and purpose of scriptural scholarship and the study of religion as it relates to current global events in the coming decades. Regard the study of the Bible, the Quran, and other sacred scriptures as important in understanding western history and modern culture, but without seeking to retain their moral authority. Scholars who share these views may not identify themselves as any sort of New Atheists or as part of any Second Wave of the New Atheism. Indeed, some of the following signatories do not necessarily apply those labels to themselves. When the co-authors say that “a Second Wave of the New Atheism exists…” they are affirming the existence of people who already think this way, but may not have identified as such explicitly up to now. However, we invite all scholars who share these views to join us in expressing, or putting into practice, any or all of the ideas and goals that we have outlined here. James Linville, Faculty, Department of Religious Studies, University of Lethbridge (Lethbridge, Canada). 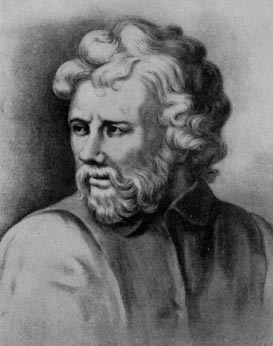 According to Victor Stenger (The New Atheism: Taking a Stand for Science and Reason [Amherst, NY: Prometheus, 2009], p. ii), who describes himself as a New Atheist, the New Atheism was motivated primarily by 9/11 and began with “a series of six best-selling books that took a harder line against religion than had been the custom among secularists.” Harris (The End of Faith, p. 323) states that he “began writing this book on September 12, 2001,” which clearly shows the link between 9/11 and the rise of the New Atheism. On the New Atheism among ethnic minorities, see Hector Avalos, ‘The Hidden Enlightenment: Humanism among US Latinos’, Essays in the Philosophy of Humanism 20 (2012), pp. 3-14. When speaking of the atrocities in the Bible, Christopher Hitchens stated “…it helps make the case for ‘anti-theism.’ By this I mean the view that we ought to be glad that none of the religious myths has any truth to it, or in it” (god is not Great: How Religion Poisons Everything [New York: Hachette, 2007], p. 102). Jaco Gericke (“A Fourth Paradigm? : Some Thoughts on Atheism in Old Testament Scholarship,” Old Testament Essays 25/3 : 518-533) speaks of the emergence of a Fourth Paradigm in Old Testament scholarship that is essentially atheistic. This Manifesto extends to all scriptural and religious studies, not just the Old Testament. Noam Chomsky, “The Responsibility of Intellectuals,” in The Chomsky Reader, edited by James Peck (New York: Pantheon Books, 1987), p. 60. The following response by Dr Hector Avalos to Dr Robert Myles‘ review of The Bad Jesus was originally posted on Debunking Christianity and is reposted here with permission. 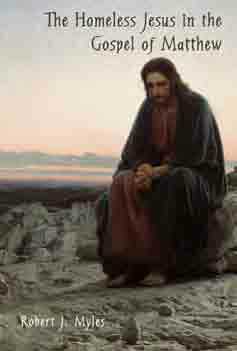 Dr Robert Myles and The Bad Jesus: An Androcentric Defense of Family/Household Abandonment? Dr. Robert Myles of the University of Auckland (New Zealand) has reviewed The Bad Jesus in two parts available here and here. He is the first biblical scholar to perform such a review of The Bad Jesus on the blogosphere. I was especially interested in his comments because he specializes in New Testament and Christian origins, as well as in Marxism and critical theory. Myles is also the author of The Homeless Jesus in the Gospel of Matthew (Sheffield: Sheffield Phoenix Press, 2014), which treats a few of the subjects I do. That book offers many provocative observations, and I recommend it to anyone interested in issues of poverty and homelessness in the Bible. His book came to my attention too far into the editing process of my book, and I did not include it in my discussions. I did read it by the time I wrote this post. Although Myles’ review raises some interesting questions, it ultimately does not represent my arguments very accurately or address them very effectively. I will demonstrate that his review actually is, in part, an androcentric defense of the abandonment of families by Jesus’ disciples. I will address the objections he raises against my methodology and my discussion of Jesus’ view of abandoning families, especially in the case of the men he called to be his disciples in Mark 1:16-20 because that is one main example Myles chose from my book. Biblical scholarship is still primarily a religionist apologetic enterprise despite claims to be engaging in historico-critical and descriptive scholarship. A more specific Christian orientation is clearly revealed in the manner in which the ethics of Jesus are predominantly viewed as benign and paradigmatic, even among supposedly secular academic scholars. However, many of the fundamental ethical principles announced or practiced by Jesus actually would be antithetical to those we otherwise describe as ‘acceptable’ or ‘good’ by some of the most widely accepted standards of ethics today. Accordingly, such a predominantly benign view of Jesus’ ethics signals a continuing acceptance of Jesus as divine or as morally supra-human, and not as the flawed human being who should be the real subject of historico-critical study. Methodologically, Avalos’ book is weak, which is unfortunate as I think the broader argument has a lot of merit. Avalos self-identifies as a a [sic] New Atheist. This perspective holds that theism is generally destructive and unethical. It is embodied for example in the writings of Richard Dawkins, Sam Harris, and Christopher Hitchens. What Avalos doesn’t explore is how this movement has also tended to form strong associations with a neoconservative political ideology, perhaps expressed most triumphantly by the late Christopher Hitchens. In and of itself this might not appear overly relevant, but its importance will become obvious shortly. So, perhaps, one can view atheist biblical scholars as ‘Second Wave New Atheists’ to contrast with the non-biblical scholars that dominated the first wave. Readers should view the present work as the first systematic New Atheist challenge to New Testament ethics by a biblical scholar. Indeed, I explicitly named Dawkins, Hitchens, Harris as being part of that First Wave from which I was differentiating myself. Any ideological critiques he launches against Dawkins, Harris, or Hitchens may not apply to the Second Wave, and don’t apply to me. My agreement with the New Atheism was qualified as follows: “Insofar as I believe that theism is itself unethical and has the potential to destroy our planet, I identify myself with what is called ‘the New Atheism” (p. 13). Myles’ review erroneously assumes that I identify with the New Atheism insofar as every other ideological or capitalist feature he identifies. Recently we looked at Tom Holland’s interest in “de-radicalising Muhammad” and today part one of an online interview with Hector Avalos has appeared in which he discusses his new book The Bad Jesus in which he exposes the “low-down” on Jesus. Just as Holland argues for the importance of promoting an understanding of what can and cannot be known about Muhammad, Avalos argues that the Christian bias of New Testament scholars has driven them to put a superior ethical spin on acts and sayings of Jesus that are in fact antithetical to today’s ethical norms. Avalos explains that The Bad Jesus is actually a sequel to The End of Biblical Studies. Biblical studies is still part of an ecclesiastical academic complex, very biased toward the Christian viewpoint in particular, and religionist throughout. Biblical scholars are there to promote the value of the Bible because in part it is self-serving. It furthers their own profession to be biblical scholars. And if the Bible has no value then what use is there for Biblical studies. . .
A religionist, “in particular Christian orientation”, permeates the field of Biblical studies and Avalos observes that the subfield of Christian ethics is the most biased of all. The ethical superiority of the purported founder of Christianity is the lodestone of the scholars involved. In Avalos’s mind the reason for this is that most scholars continue even today to view Jesus through the lens of Chalcedon and Nicea. Though they claim to be studying the historical Jesus they nonetheless still see Jesus as divine. This should not be a controversial statement to anyone who has read a wide range of historical Jesus studies. Even “liberal Christian” scholars have made little effort to hide their belief that Jesus is alive today and that they regularly commune in some manner with him. 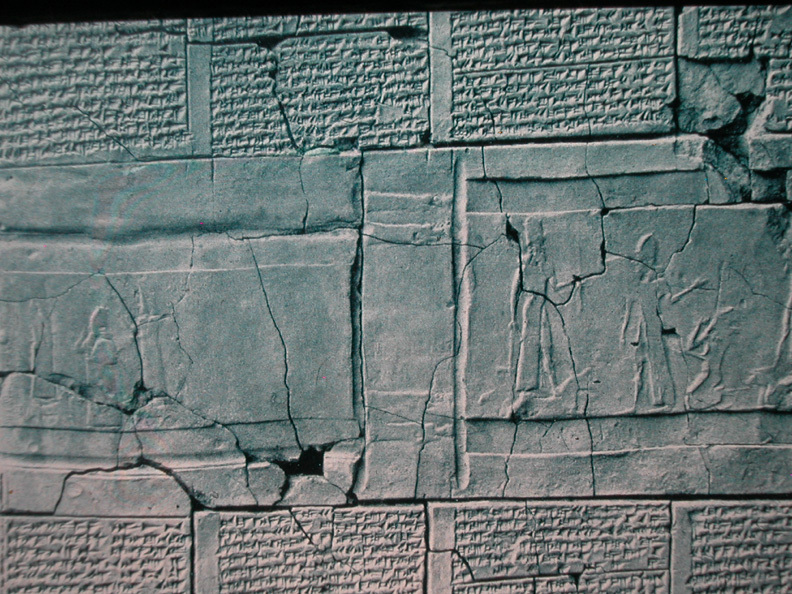 Assyrian king’s treaty commanding love from his vassal. The most striking point for me about Avalos’s analysis of the concept of love as found in the Bible is his explanation of how it pertains more to an antiquated master-slave/lord-vassal relationship (or to use Thomas L. Thompson’s metaphor, a Mafia Godfather family relationship). Far from being mutual or self-less, agape [=love]may describe behavior that entails violence, not to mention other hierarchical behaviors. Part of the reason for the change [towards the realization of this lord-vassal context of love] is that previous scholars had been too eager to divorce the New Testament use of agape from corresponding words and concepts in the Hebrew Bible. After all, Christianity was often thought to be bringing something radically new. You will not seek any other king or any other lord . . .
(You swear) that you . . . will die (for your lord). You will seek to do for him that which is good. That you will not do to him (anything which) is not good. . . .
(You swear) that you will love Ashurbanipal, the crown prince, son of Esarhaddon, king of Assyria, your lord as (you do) yourselves. That . . . you will not slander his brothers, his mother’s sons. That you will not speak anything that is not good about them . . .
Avalos asks readers to compare these sorts of sentiments with others we find attributed to Jesus. Disciples are to love God more than themselves, to die for Him, to have no other loyalties apart from their devotion to their Lord — to the extent of hating all prior loyalties such as parents — and, of course, to speak no evil. And curses are pronounced upon those who disobey just as they were threatened against the Assyrian vassals. Love in Deuteronomy is a love that can be commanded. It is also a love intimately related to fear and reverence. Above all, it is a love which must be expressed in loyalty, in service, and in unqualified obedience to the demands of the Law. For to love God is, in answer to a unique claim (6:4), to be loyal to him (11:1, 22; 30:20), to walk in his ways (10:12.; 11:22; 19:9; 30:16), to keep his commandments (10:12; 11:1,22; 19:9), to do them (11:22; 19:9), to heed them or his voice (11:13; 30:16), to serve him (10:12.; 11:1,13). It is, in brief, a love defined by and pledged in the covenant — a covenantal love. If . . . the old sovereign-vassal terminology of love is as relevant as we think it is, then what a history lies behind the Christian test of true agape — “If you love me, keep my commandments”! “What is love?” asked the older Sunday school student. A more reliable way to understand what the Bible means by “love” is to take Professor Hector Avalos‘s approach in the opening chapter of The Bad Jesus: The Ethics of New Testament Ethics and examine the way the word is used in the biblical literature as well as in the literature of the wider cultural context (Near Eastern, Greco-Roman) of those scriptural texts. Though Avalos’s focus is on the figure of Jesus his discussion embraces the wider context of the cultural and literary heritage as it comes together in the words attributed to Christianity’s beloved Son of God. Avalos expresses some dismay that so many biblical scholars (and not only Christian ones) routinely attribute to Jesus an ethic of love that was astonishingly advanced for his day. If these scholars were as well informed about the wider world of ideas from which the Bible emerged as they are about the Bible itself they could scarcely make such claims, Avalos argues. is actually best understood as ‘your fellow Israelite’. For the details he refers to Harry Orlinsky’s essay, “Nationalism-Universalism and Internationalism in Ancient Israel” in Translating and Understanding the Old Testament; Essays in Honor of Herbert Gordon May (1970), and to John Meier’s fourth volume in his Marginal Jew series, Law and Love (2009). Attempts to reinterpret the passage to make it conform to ideals of universal brotherhood are without “sound linguistic parallels” and “supporting documentation” — and are entirely speculative. Why Does Jesus Never Do Anything Wrong? the first systematic New Atheist challenge to New Testament ethics by a biblical scholar. Ouch. That makes me wonder if my own passive atheism is a mark of irresponsibility. But I have my own carefully considered reasons for not identifying with this trio. Blaming religion per se, I think, misses the real historical culprit: the self-serving and destructive institutional powers that religion serves to smokescreen from view. Consequently New Atheists can sometimes unwittingly become mouthpieces in support of those powers. Leaving that crucial point to one side for now, let’s continue . . . . Although not as well known as these writers, there also has emerged a group of biblical scholars who, while not necessarily describing themselves as ‘New Atheists’, do openly identify themselves as atheist, secular or agnostic (e.g. Kenneth Atkinson, Robert Cargill, Richard Carrier, Bart Ehrman, James Linville and Gerd Lüdemann.) . . . I have addressed aspects of Avalos’s thinking in this regard in other posts. On the more traditional end, we find “‘Twas the Night Before Christmas” (1974). The story features a family of mice, one of whose members is Albert, a precocious youngster who is a hard-nosed believer in science and a virtual atheist. Albert wrote a letter calling Santa a fraudulent myth. As a result, Santa Claus retaliates by threatening to stay away from Albert’s town on Christmas Eve. When Albert’s father discovers what he has done, he tells Albert that he should trust his heart, not his head. After Albert apologizes, Santa forgives the town, and shows up on schedule. The message emphasizes that faith and looking with “the heart” are actually better instruments to understand the world, and a purely scientific approach is narrow-minded. Yuck! I hate that sort of thing in those movies. They are so maudlin-good they are evil. Then there’s the honest reply to that infamous letter . . . .
No, Virginia, there is no Santa Claus . . . . .
Jerry Coyne has posted Resa Aslan’s response to claims that the Muslim religion is inherently bad. He labales Aslan as “the Great Muslim Apologist”. Listening to the two sides of this discussion I’m pushed to try to understand why they appear not to be truly communicating with each other. I have in the past argued the same points as Aslan makes. So watching Aslan is somewhat like watching myself. It forces me to ask what’s gong wrong here. 1.5 billion Muslims cannot be all painted with the same brush — terrorism and violence, female genital mutilation, denying women’s rights such as not allowing them to drive — since Muslim countries like Turkey and Indonesia cannot be compared with Saudi Arabia and Somalia. Muslim majority countries have elected seven women heads of states. In Christian countries like Eritrea and Ethiopia we find nearly 90% and 75% prevalence of female genital mutilation. Women participate fully in political and educational opportunities in Indonesia, Malaysia, Bangladesh, Turkey, and others. Buddhists massacre Muslims in Myanmar (Burma). But as we see in the video arguing such facts obviously does not easily persuade. The problems are still seen as Muslim problems. Others like Jerry only see Resa as “the Great Muslim Apologist”. 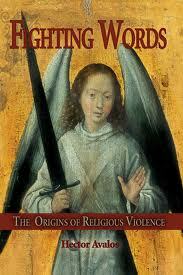 I have just completed reading Fighting Words: The Origins of Religious Violence by Hector Avalos. The argument is not quite what I expected but it was certainly clear and logical and has given me a new perspective on the way religion and religious conflicts function in our communities and the world at large. Now I have been one of those atheists who does not see religion in and of itself as evil; I quite understand and to an extent sympathize with people’s attachments to their faith. There was a brief time in my past when I had an essentialist view of religion and saw its irrational and exclusivist belief systems as an evil blight on our society but I have long since tempered my outlook. Too soon, I think I can hear Hector Avalos objecting. Not that religion necessarily causes violence. Clearly it doesn’t always and there are times when religion is used for the benefit of others. But “as a mode of life and thought” Avalos argues that religion is “fundamentally prone to violence”. Avalos begins with the axiom that it is scarcity of resources that so often lead to violence. Even the fear of imminent scarcity or the mere perception of an imagined scarcity can be enough to provoke war. Land can be a scarce resource. (We might add “oil” as another and let myself be sidetracked for a moment by referring to a recent Guardian article that has appeared on the web, Tony Blair’s Islamist obsession is a smokescreen to defend ‘blood for oil’, by Nafeez Ahmed.) Resources do not have to be tangible. A sense of security, for example, can be a scarce resource. Hector Avalos argues that many scholars have misunderstood the nature and function of religion in conflicts by thinking of it as “essentially good” while violence associated with it is considered a perversion of its true values. Rather, Avalos argues, we need to understand that religion itself has the ability to create scarcity of resources — imaginary ones, or at least those that are unverifiable by normal methods — and it is this function that can be the trigger to violence. The difference between scarcity caused by religious beliefs and other types of scarcities is that the former are unverifiable while the latter are clearly real to all. This is what makes religious violence morally worse than other forms of violence: religious violence is about imaginary or unverifiable resources (e.g. an offended deity) while other types of violence are seeking to exchange blood for something real (e.g. self-preservation). Let’s explain. It was a new concept for me, too. Many people now look back in disbelief over the past decade, and the roles of Bush and Blair in particular. But now we have Obama, the great liberal figure of our time. . . .
And continues . . . Yet, beneath the high rhetoric, Obama rarely deviated from standard American positions on the Middle East in recent years and provided minimum detail. And, in the heart of an anti-democratic police state with an unfortunate human rights record . . .
And concludes . . .
as he stood shoulder to shoulder with Mubarak, an issue which is apparently best forgotten now that the Western media could no longer avoid showing Mubarak for what he is. No reference to biblical scholarship. 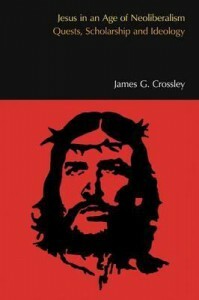 As I pointed out previously, in major respects I sympathize with Crossley’s political views but I was led to read a book expecting an explanation of how political and related trends influenced Jesus scholarship; rather, one senses that Crossley is hoping to politically (re)educate his scholarly peers. So we come to chapter 3 which is about Biblioblogging. 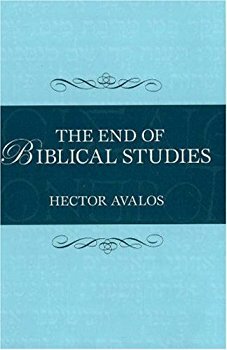 Hector Avalos is already renowned/notorious for The End of Biblical Studies. There he argued that the biblical texts are without any relevance today, or at least are no more relevant than any other writings from ancient times. Scholars who attempt to argue for the moral relevance of the Bible in today’s world, Avalos argues, do so by tendentiously re-interpreting selected passages out of their original contexts and arbitrarily downplaying passages that contradict their claims. Theoretically, Avalos reasons, one could take Hitler’s Mein Kampf and likewise focus on the good passages in it and insist they over-ride the bad ones, and that the negative passages should be interpreted symbolically and through the good sentiments we read into the better passages. No-one would attempt to justify the relevance of Mein Kampf by such a method. Yet Avalos points out that that’s the way scholars justify the relevance of the Bible in today’s world. This post is based on another work by Avalos, Fighting Words, in which he analyses the way religious beliefs can and do contribute to violence. The full thesis is something I will address in a future post. Here I look at just one controversial point made in that book. Avalos does not deny that Nazism drew upon scientific ideas of its day. But it can also be concluded that these scientific notions of race were extras added to ideas that had a deeper cultural heritage, in particular as they found expression in the holy book of Christianity. A modern and prominent theorist of race, Milford Wolpoff, traces modern ideas of racism right back to Platonic ideas of “essentialism“. 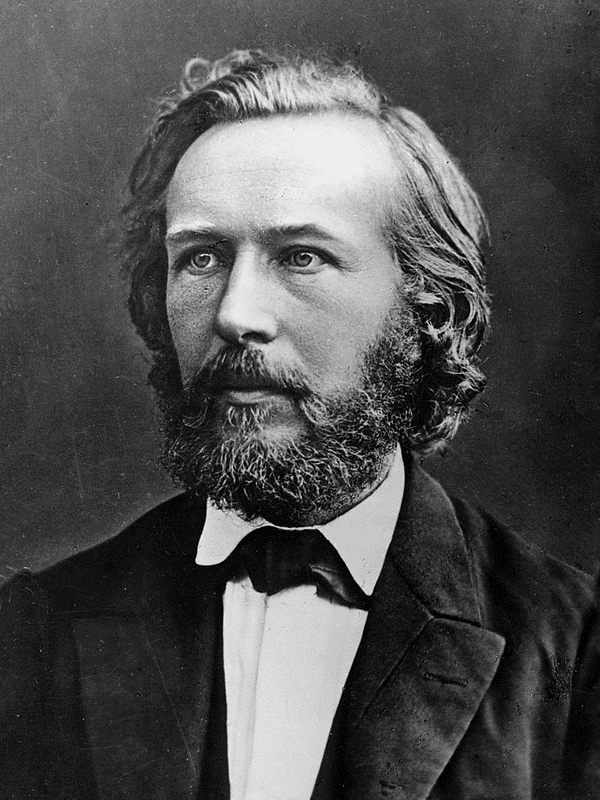 Ernst Haeckel (1834-1913) was perhaps the most influential of evolutionary theorists and writers at the turn of the twentieth century; his views were widely embraced with his book, The Riddle of the World (Die Welträtsel) having sold 100,000 copies before the turn of the century. Haeckel popularized the idea that different human races each evolved from different species of ape-men. Exterminations and exploitation of lesser races by superior ones was considered the inevitable consequence of Darwinism. The Nazi Party’s publications cited Haeckel frequently. At the same time, Hitler saw racism as compatible with religion, as do many biblical authors. Even Haeckel, who is often maligned for supposedly introducing scientific grounds for genocide, saw himself as simply reexpressing biblical concepts in scientific language. As in Christian and Jewish texts, “your neighbor” originally meant a fellow member of your in-group. Thus, Haeckel’s interpretation of “neighbor,” even if exegetically flawed, was based on the same concept of insider and outsider that is present in the earlier religions. 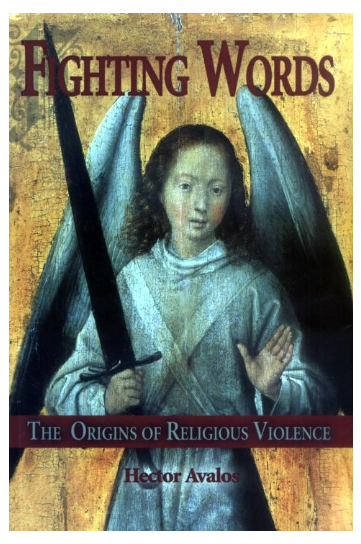 I am currently absorbed in reading Hector Avalos’s book Fighting Words: The Origins of Religious Violence. It’s giving me a lot to think about. Avalos challenges perspectives relating to the Israeli-Palestinian conflict and the Islamic religion that I have often posted on this blog. It is too soon to post anything revisionist but I have just finished a snippet I can share in the meantime. Agree with God, and be at peace. Of course there has been a long tradition of scholarly analysis of the Bible, but that’s not necessarily the same thing. In an earlier post in this series I showed how Wajdenbaum argues that biblical criticism has generally been the construction of a variant of the Bible’s myth. Following Claude Lévi-Strauss, he argues that any retelling of a myth is itself a variant of the myth, and in rationalising the Bible’s story and self-witness of divine inspiration scholars have, in fact, only created alternative versions of those myths. Sociologist Pierre Bourdieu has explained how university scholars use symbolic violence to ensure their authority in their field. By presenting themselves as a legitimate institution, university scholars impose an arbitrary knowledge that is recognised by the masses as legitimate. I have no more desire to engage Christians. They are deluded, all of them. I have never been more convinced of this than I am now. I have better things to do. I spent 39+ years of my adult life on a delusion. If I add the years of my childhood that’s almost my entire life. Yet this is the only life I will ever have. It’s time to move on, or at a minimum take a very long hiatus. I just finished what may be my last book, on The Outsider Test for Faith, to be published by Prometheus Books early next year. How many times do I need to kick the dead horse of Christianity? I don’t think I need to say anything more. If what I have written isn’t good enough then nothing is good enough for some Christians. What I intend to do is turn this blog over to a few qualified people. I’ll still be a part of it and I suppose I’ll post something from time to time. But I see no reason to waste large chunks of my time on this delusion anymore. Thanks for everyone’s comments, especially the encouraging ones.